‘The most widely read and influential’ versions of the nô in a European language. 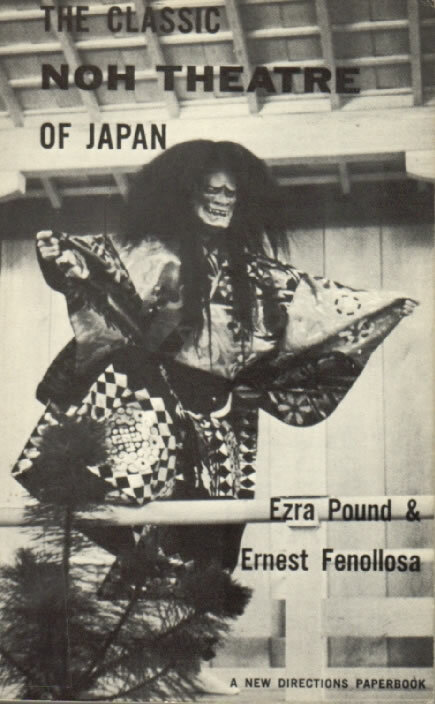 Reprinted in 1959, along with Yeats’s Introduction to Certain Noble Plays of Japan, as The Classic Noh Theatre of Japan. 24. Ed. 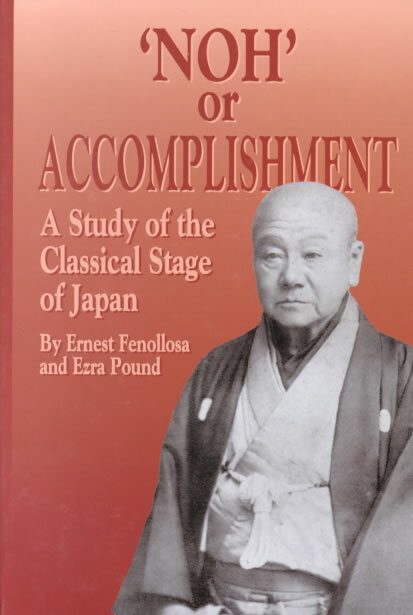 ‘Noh’ or Accomplishment: A Study of the Classical Stage of Japan. From the manuscripts of Ernest Fenollosa. London: Macmillan, 1916 [i.e., 1917]. Reprinted, with Yeats’s introduction to Certain Noble Plays (BL11), as The Classic Noh Theatre of Japan. New York: New Directions, 1959. Reprint, Westport, Conn.: Greenwood, 1977. Reprints, sometimes with emendations, all of Pound’s earlier-published work with the nô—Nishikigi (8), commentary and plays from ‘The Classical Drama of Japan’ (13) and ‘The Classical Stage of Japan’ (17), Kagekiyo (21a), Awoi NO UYE (22), and Kakitsuhata (23) —and includes material not previously published. Despite later and more accurate translations, Kodama (A59, xi) is no doubt correct in writing that those collected here have been ‘the most widely read and influential’ versions of the nô in a European language; Miner’s 1958 assessment (in A25) is perhaps still the best summary: the work is ‘a poet’s translation’; Pound is ‘scholarly where he can be, but unfamiliar with the historical, literary, and linguistic contexts’ of the nô; he succeeds ‘as often as not’, and when he does the translations ‘are not infrequently superior to Waley’s’ (see D26), but ‘often’ he ‘fails’. Compelling recent critical work traces the importance of the nô through the Pound canon, particularly in The Cantos (see especially 108, 145, 157, 161, 165, 183, 186, 187, 191, 192, 202, and 204), but among writers familiar with the Japanese originals only Miyake (187, 191, and 192) does not find fault with at least some of the translations, stressing instead of lapses in accuracy the consistency of Pound’s inventiveness. For Pound’s own assessment of the work and the form see 12, 28, 59b, 59f, 76b, 76e, 77e-f, 83, 87; see A Guide (201) for notes for readers, glossaries of Japanese names and terms, transcriptions of many of the Fenollosa manuscripts from which Pound worked, and other related material; and see also A18, 24, 27, 47, 48, 56, 61, BE8, BJ18, BK27, 31, 38, 45b, 50, 51, 56, 59g-h, 61, 70a, 70c, 71, 72, 75, 77h, 81, 82b4, 82b14, 82e2, 86c, 88, 89a, 90a-b, 92b, 93-96, 98, 101, 104, 105, 109, 110, 112, 113, 115, 117, 119, 125, 128, 131-34, 137, 141, 143, 144, 147, 149, 152-56, 167, 169, 171, 172, 174, 176c, 177-79, 181, 188, 193, 203, 205, BL11, 13, 14a-b, 15a, 17a, 33, 44b, 60, 64b, 74, 80, 81, 86, 88, 89, 93-95, 97, 107, 109, 116, 124, 129, 130, 140, 143, 161, 175, 176, 180, 191, 192, 201, 202, 212, 214, 219, 221, 225, 236, 244, CA10, CB1b-c, D3, 8, 10, 14, 15a, 17, 21-23, and 26b. Reprinted in Pound’s Translations (60). a. ‘Technical Terms in Noh’. A brief explanation of the categories of dramatis personae in the nô. b. Chorio [ChÔRyÔ]. Pound’s version of this play about the Han Dynasty warrior Chôryô (Ch., Chang Liang) is fragmentary and largely in prose, though adequately captures the outline of the tale. Later reference to the work does not occur in the Pound canon. See Tsukui (167) for notes about inaccuracies in the translation. Pound’s manuscript of this work, GenjÔ (c), and Takasago (88d) were submitted to Poetry in July 1915, with the understanding that they would be forwarded to Drama (see 17 and 23) if Poetry did not use them, but Alice Corbin Henderson apparently mislaid the manuscripts (see 88b and 198, xxiii). See also 17i. c. Genjo [GenjÔ]. An official of the Fujiwara family, the most skilful lute (biwa) player in Japan, wishes to travel to China to study further, but is persuaded by the ghost of the Emperor Murakami that he must not neglect his public duties to pursue private ambitions. The title refers to one of three biwa brought to Japan from T’ang China in the ninth century. Pound’s version is fragmentary and reference to the play does not recur in his canon. See Tsukui (167) for notes about inaccuracies of the translation, and see also 17g and i and 88b. d. Appendix I, ‘Synopses of Plots’. Summaries of the plays Shunkwan [SHunkan], Koi no Omoni, Kanawa, and Matsukaze, the last of which is particularly weak, omitting important elements of the play. e. Appendix II. Pound writes in these notes on nô music that ‘many facts’ about the nô in general ‘might be extremely interesting if one had enough knowledge . . . and could tell where to fit them in’. f. Appendix III, ‘Care and Selection of Costumes’. Based on notes Fenollosa recorded in conversation with Umewaka Minoru (Ap). g. Appendix IV. These notes about the music in Hagoromo are omitted in all reprints.